As a Master Electrician, Marcia Ranger is an expert and award winning educator in the electrical field. With more than 20 years of experience in the industry and as an instructor, Marcia's leadership, perspective and experience make her a leading voice in the field. She is an active and passionate promoter of the skilled trades. 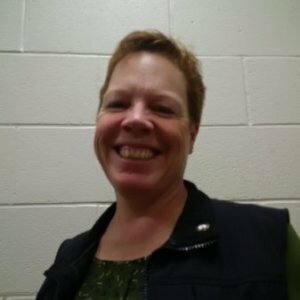 As a female working in what is usually a male-dominated industry, Marcia can provide a unique perspective and opinion as well as a convincing argument as to why more females need to consider careers in the trades. Awarded by the Ontario Technological Skills competition in recognition of a significant impact on young people in the community. The Canadian Forces Decoration is awarded to officers, and to the men and women of the Canadian Forces who have completed twelve years of service. The medal is awarded to all ranks, who must have a good record of conduct during the final eight years of claimed service. Marcia is a long-time mentor and speaker at Skills Work!® For Women Career Exploration events. And she has also been a workshop facilitator with Skills Work!® For Youth Summer Camp Program since its inception. Marcia was a speaker, mentor and panelist at the Women in Trades Forum. An event hosted by the Canadian Association of Women in Construction (CAWIC). Marcia was a speaker, mentor and panelist at the Women of the Future Conference.